The CBGC is looking for 13-15 year-old boys and girls for a 15U baseball league. If you're interested, please come out to Euclid Park for callouts next week according to the schedule below. If you can’t make it or have any other questions, please contact Coach Christine Robertson at . Thanks and we’ll see you on the field! All callouts will be held at Euclid Park. 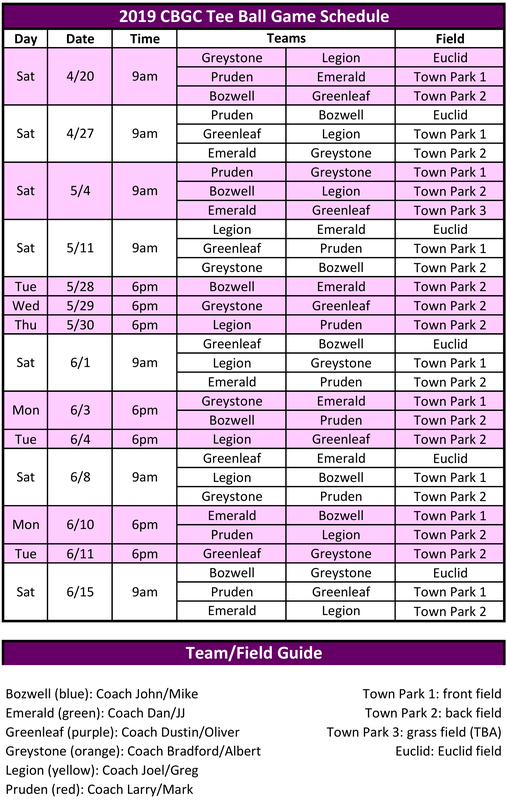 For a bigger version of the schedule, check out the tee ball page.